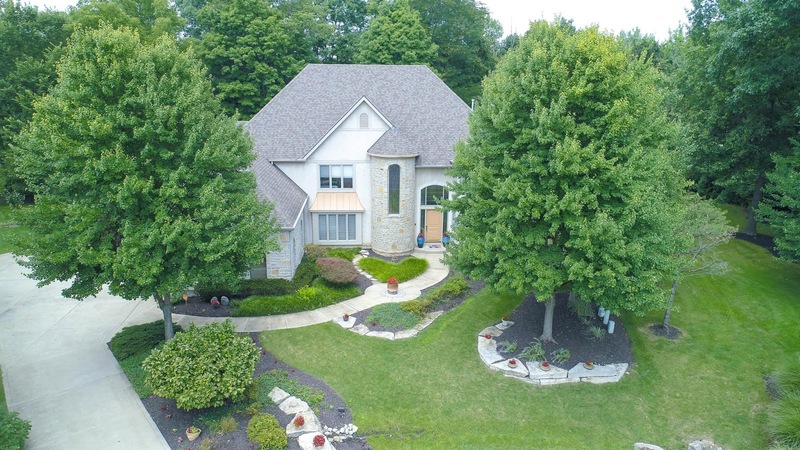 Incredible custom built home in Wedgewood on over ½ acre extensively landscaped and wooded cul-de-sac lot! Approx. 6,200 SF on 3 finished levels! First Floor Executive Den with custom built-ins. Two-story Great Room with wall of windows and wet bar. Giant Kitchen has 17 foot island, wrap around white cabinets and granite countertops. Owner’s Suite has tray ceiling, sitting area and whirlpool Bath. 2 additional Upper Level Suites. Finished, walk-out Lower Level has Recreation Room, Media area, Bar/Kitchenette, Bedroom and full Bath (perfect In-Law/Teen/Nanny Suite). Upgraded oak woodwork, doors and trim. Many extras! 4 BRs, 4 full and 2 half Baths. Olentangy schools. Only $788,888! Call DeLena Today!